Teaching requires two things: a competent instructor and receptive students. Equipping and discipling require much more. So, my last blog post stirred up a lot more response than I expected. In The Biggest Mistake Teaching Pastors Tend to Make – And How To Correct It, I encouraged pastors to move from being a teaching pastor to an equipping pastor, based on the Pastoral Prime Mandate of Ephesians 4:11-12. But what I didn’t do, as pointed out by several readers, was give any ideas of how to do that – which was simply due to the limitations of time and space. That’s a lot of ground to cover in a short blog post. To remedy that, here are a handful of previous posts that give you a few “how to’s”, (which I have also added to the end of the previous post). 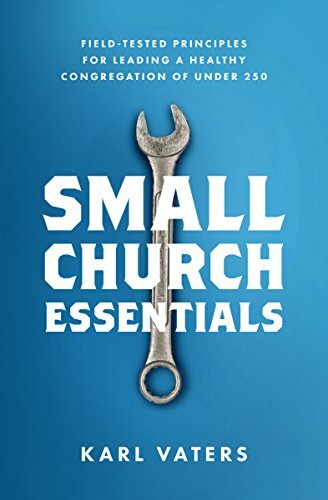 And now, in today’s post I’ll lay out a simple (you might say simplistic – and you’d be right) breakdown of four essential elements we must do to move from being a teaching pastor to an equipping pastor. This list is not exhaustive. That can’t be done in a single article, or even a single book, for that matter. But they can serve as a starting line for those who want to move beyond teaching into discipling. Teaching requires two things: a competent instructor and receptive students. Equipping and discipling require much more. The difference can be seen in the ways Jesus addressed a crowd, compared to how he addressed his disciples. The New Testament says he taught, scolded and had compassion on crowds (Mark 10:1, Luke 11:29, Matt 9:36). But with the disciples, he did much more. Teaching can happen from an anonymous source to an anonymous recipient. For instance, most of the people who read this blog post are unknown to me, and I am unknown to you. That doesn’t mean we can’t learn from each other, but we can’t really disciple each other. Discipleship requires a relationship because equipping the saints is far more than downloading information. Discipleship requires a relationship because equipping the saints is far more than downloading information, it’s a willing surrender of a person’s life for the growth of their character and behavior. This is one of the reasons discipleship must be done in smaller groups, whether a small church, or small groups within a large church. Jesus didn’t just want the disciples to know about him, he wanted them to know him and become like him. He wanted them to have the kind of relationship with him that he has with the Father. So he led by example to show them how to pray, how to love the Father, how to respond to criticism, how to live a holy life, how to love your enemies, and so much more. You can receive valuable information from someone who might be an immoral scoundrel. But you can only be properly discipled by someone who’s living a life that’s at least one step closer to being the person God wants you to be. After Jesus walked with the disciples for a while, he sent 72 of them out with a very specific assignment to prepare the towns where he was heading to be ready for his arrival. After the 72 returned, they reported to Jesus what had happened and he assessed the value of how well they had completed their task. Teaching is important. Therefore, good discipleship and equipping will always have dissemination of knowledge as an essential element. But an equipping pastor (or any of the other five ministry gifts in Eph 4:11-12) will do more than impart knowledge. Like the teachings of Jesus, the best sermons don’t just impart knowledge, they’re seen as one element of many in a thorough discipling/equipping process. An equipping process cannot be done without walking beside, living among, doing with and assessing after. Yes, that requires far more work than delivering a sermon or correcting someone on Facebook – which is probably the main reason we default to those instead of doing the hard work of equipping. But that’s our mandate. Making disciples is what the Great Commission is all about.